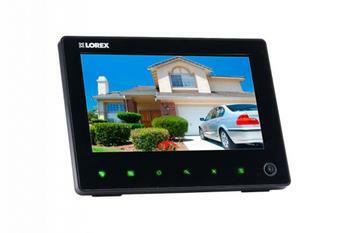 Lorex Technology is recalling about 26,300 video monitors sold in the U.S. and Canada. This recall involves Lorex brand video monitors models LW2751, LW2752 and LW2962H used with surveillance video systems. The video monitors are black and were sold in two sizes: 7 inches wide by 5 inches tall, and 9 inches wide by 6 inches tall. The video monitors contain a blue lithium polymer battery. “LOREX” is printed on the top left of the monitor screen. The model and serial numbers are printed on the top or on the back panel of the monitors. Only monitors with the following model and serial numbers are included in the recall. The monitors, manufactured in China, were sold at Best Buy stores nationwide and online at www.lorextechnology.com and other websites from April 2014, through March 2017, in bundles for between $150 and $330. Consumers may contact Lorex toll-free at 844-265-7388 from 9 a.m. to 5 p.m. (ET) Monday through Friday or online at www.lorextechnology.com and click on “Product Recalls” for more information.